I’ll admit it. I knew what I was getting into when 9pm rolled around and I tuned to MTV. I knew that I was in store for below mediocre performances and a medley of “politically correct” and not-so-politically correct behavior that both manage to offend anyone who is remotely racially conscious. With that said, the VMAs displayed consistently problematic behavior. This is not surprising as popular culture houses societal anxieties and perpetuates them as “entertainment.” While laughter and smiles are certainly good things, they are not positive if they are at the expense of racial cognizance. I never really “got” the appeal of Miley Cyrus post Hannah Montana. However, Miley’s 2013 VMA performance painted her as a meme in the perpetuation of cultural appropriation. Rather than work to redeem her past actions, Miley spends the entire show poking fun at her past endeavors. As the host, she intertwines the show with a series of videos that fester the contemporary wound of cultural appropriation. From smoking week with rappers to donning blonde dreadlocks for most of the show, Cyrus epitomizes contemporary culture’s comfort with “urban” when it is cast upon lily white canvasses. 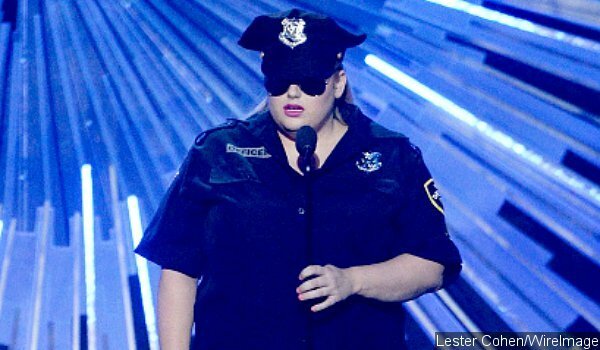 Admittedly, much like my internal queries of Cyrus’ appeal, I too questioned the appeal of Rebel Wilson. Despite previous queries surrounding her success, Rebel’s behavior during last night’s VMA’s was simply insufferable. She began her set by saying “ I know a lot of people have problems with the police” words that are surely the understatement of the year. She then redirects her menacing statement to a conversation on police strippers. Insensitive and inappropriate, Wilson and MTV’s attempt to make light of an issue so heavy in the black diaspora is an unforgivable imposition. Undoubtedly implemented as an act of redemption, the VMA’s featured Empire stars Jussie Smollet and Serayah who spoke on famous hashtag #blacklivesmatter. They spoke to the importance of hashtags being more than the number sign and words. This statement, while profound, fell onto the deaf ears of an audience force-fed images that render attributes of blackness valuable, but black lives themselves-not so much. Last year the VMA’s made waves when crowning superstar Beyonce with the Vanguard Award. While Beyonce’s blonde weave and skin that seems to get lighter and lighter may cause many to question how black are black icons, Beyonce as a recipient for this award symbolized a small victory for the black diaspora. Handed the award by her husband and daughter, the presence of a black family on MTV was resounding. Kanye West as this year’s recipient, completely negated the slight nostalgia of the previous year. Unlike Beyonce, West was handed the award by pop star Taylor Swift, with whom he had the now infamous “Beyonce had one of the greatest videos of all time…” moment back in 2009. 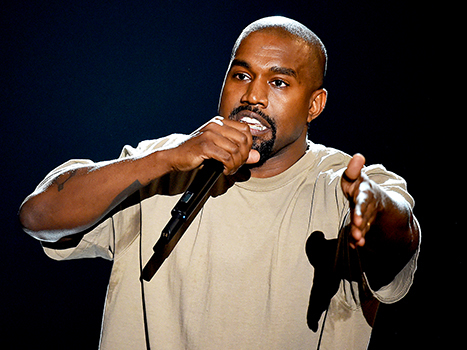 The award was granted not to celebrate Kanye West as the genius he is, but for the spectacle he’s become. Following his acceptance of the award, West goes on an expected harangue which is pointless, hollow yet much like a trainwreck- you can’t help but watch. West ended his tirade with a proclamation of his presidential pursuits for the year 2020, which solidified the inability to take anything previously said seriously. The most problematic component of West’s speech, performed in what seems to become a pattern for West and other black award recipients. While West, a black man and artist, was issued this award, he used his platform to discuss whites. At the BET Honors, West spoke entirely of wife Kim Kardashian and her father, the late Robert Kardashian. Similarly, at last night’s VMA’s West spoke about Justin Timberlake’s Grammy loss. So West’s declaration of “fighting for artists” seems solely limited to advocating for white artists. Thus, West demonstrates that black lives do indeed matter, when they are praising white ones. White America is comfortable celebrating blacks like Kanye West, because even in the supposed freedom of money, fame and influence he is bound to the intangible chains of slavery, and is thus inevitably mentally enslaved. 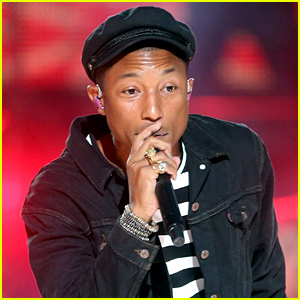 Despite West’s tirade as an ode to mental enslavement’s union with marijuana, MTV asks Pharrell to perform “Freedom.” Although most in attendance are the antithesis of the song’s title, “Freedom” presents an appropriate soundtrack to suggest progression in a regressive showcase we’ve come to the call the VMA’s. The VMA’s, where black culture detached from black bodies is deemed valuable, where Taylor Swift is awarded “Video of the Year” for average vocals on an average song, reveals the VMA’s as yet another source of a white supremacist initiative. Thus, the “freedom” Pharrell sings about is solely applicable to whites who find entertainment in black artists and celebrities and inspiration in white artists and celebrities. It’s easy to forget that MTV didn’t always feature black artists, and now that they do, they find comfort in making light of our struggles and limiting our images to hyper sexuality or sheer stupidity. The show did however have one redeeming moment. 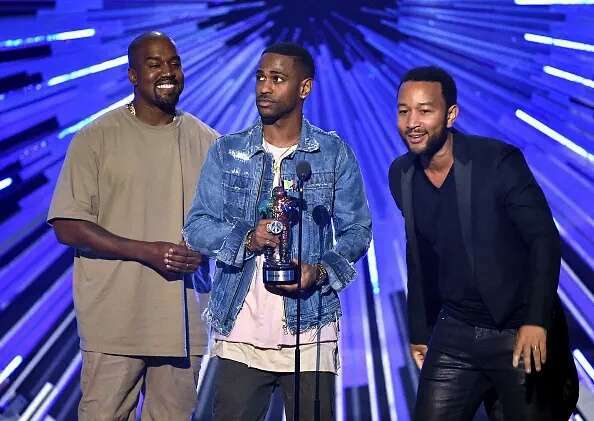 This moment was of course one of the shortest moments of the show, when rapper Big Sean won for song: One Man Can Change the VMA’s. In his acceptance speech, Sean spoke of his grandmother who was one of the first black female captains of World War I. He went on to state that through her he was able to see that a single person truly can make a difference. As a black woman, this moment resonated with me as the sole moment where I felt inspired. Sean’s words served as a brief reminder that black femininity life is more than coochie pats, twerking and weaves. Rather, we are our minds and our courage. So its only fitting that Sean won for his track “One man can Change the World” as his victory proves that one person can change an award show. The VMA’s are Mind Rot. I can’t watch it anymore. Grammys and Brits are ‘it’ for me. The entire show was garbage!!! A total waste of time! The usual nonsense from MTV.